CAF secretary general resigns – Royal Times of Nigeria. 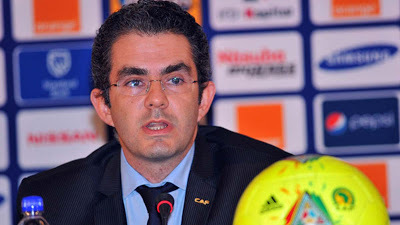 The Confederation of African Football’s CAF, secretary general Hicham El Amrani resigned on Sunday. His resignation is coming just a week after elections swept long-standing president Issa Hayatou from power. El Amrani, in a letter to African football associations, said he would be departing on Monday, but gave no reason for his decision. The 37-year-old Moroccan had served as secretary general for the last six years.